Amy Poehler is a force to be reckoned with. From SNL and Parks and Recreation fame and movies such as Baby Mama, Amy has established herself as a frontrunner in comedy - as well as balancing her life as a mother and screenwriter. Yes Please is a raw account of her life from a struggling improv artist to one of todays most recognised faces. She writes from a place of honesty and truth and tells her readers that being true to yourself is one of the most empowering things you can do - and it shines through in her memoir. 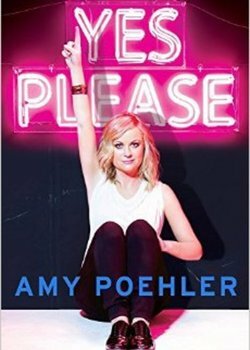 Yes Please is a truly inspiring read for anyone who appreciates a good laugh!